Business keynote speaker Tiffani Bova has spent years turning company leaders into Einsteins of innovation by boosting their growth IQ. She works as Salesforce’s lead Growth Expert, introducing companies to inventive business models that allow them to grow bigger, but more importantly better. 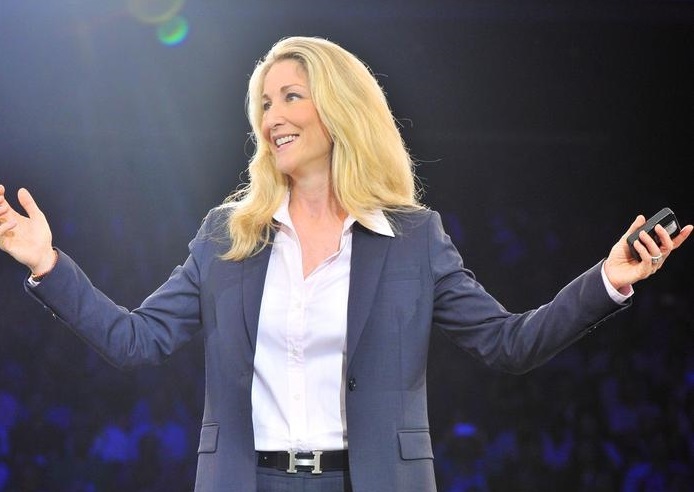 Prior to her time at Salesforce she served as Gartner’s Distinguished Analyst and Research Fellow for ten years. Her latest book Growth IQ was a top pick for Inc. Magazine’s summer reads and provides insights from her research and work developing companies of all sizes into sustainable giants. Bova simplifies the chaos of an exploding business by helping leaders learn to make the right series of choices at the right time. In her time at Salesforce, she has realized there are essentially only ten growth patterns that all companies fall into. But with her help, you can choose your growth plan and map out your route to success. Bova takes the guessing game out of growth and guides your company through the confusion. She researched twenty-one companies whose growth made them number one in its industry, including Netflix, Kylie Jenner, Red Bull, Amazon, and Marvel; and nine companies who missed a rung on the ladder to the top and found themselves back at the bottom. Her unique insights will boost your Growth IQ and empower you to choose a growth path of your own that will make you the next Netflix of your industry. Bova is a regular contributor to Forbes, Harvard Business Review, Marketing Matters on Wharton Business Radio – SiriusXM and Huffington Post in addition to a variety of industry-leading podcasts. Her own podcast “What’s Next! 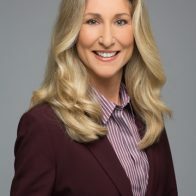 with Tiffani Bova” has featured guests from Arianna Huffington to Dan Pink, became one of the top 100 business and marketing podcasts on iTunes in 2017, and won top Sales and Marketing Podcast by Top Sales Magazine. She was also recently recognized as one of Inc. Magazine’s 37 Sales Experts You Need to Follow on Twitter, a LinkedIn Top Sales Influencer, a Brand Quarterly Magazine Top 50 Marketing Thought Leader, and one of the most Powerful and Influential Women in California according to the National Diversity Council. Building Your Growth IQ: Get Smarter About Building Your Company’s Future: Why do so many of the most promising businesses fail to achieve consistent, sustainable growth? It’s because they try the same strategy as everyone else. There’s no one-size-fits-all strategy—a winning strategy for one business may spell doom for another. In this eye-opening talk, customer growth and innovation expert Tiffani Bova draws on her expertise as a consultant and practitioner to devise a new framework for business leaders looking to pursue growth. Audiences will come away with knowledge of the ten simple—but easily misunderstood—growth paths, how to get a handle on their particular business context, and the right combination and sequence of growth paths to take them into the future. But Do They Love It? The Customer Experience Imperative: How can you grow your sales beyond your initial client bases? One of the best ways is to provide a positive customer experience. But with the proliferation of technology and devices, the customer is now smarter and more powerful than ever. Macro trends such as social, mobile, cloud, big data, and IoT are forging a new era of engagement where the consumers are more disruptive than the technology itself. So how will you help your customers—and your own firm—connect? In this engaging talk, Tiffani Bova, will address how companies of all sizes can create new business practices that leverage technology to strengthen customer relationships and accelerate sales and growth. Attendees will hear actionable takeaways on how to create a customer-centric business and long-lasting brand loyalty.